These flasks are small, lightweight and hold a single measure of spirits. 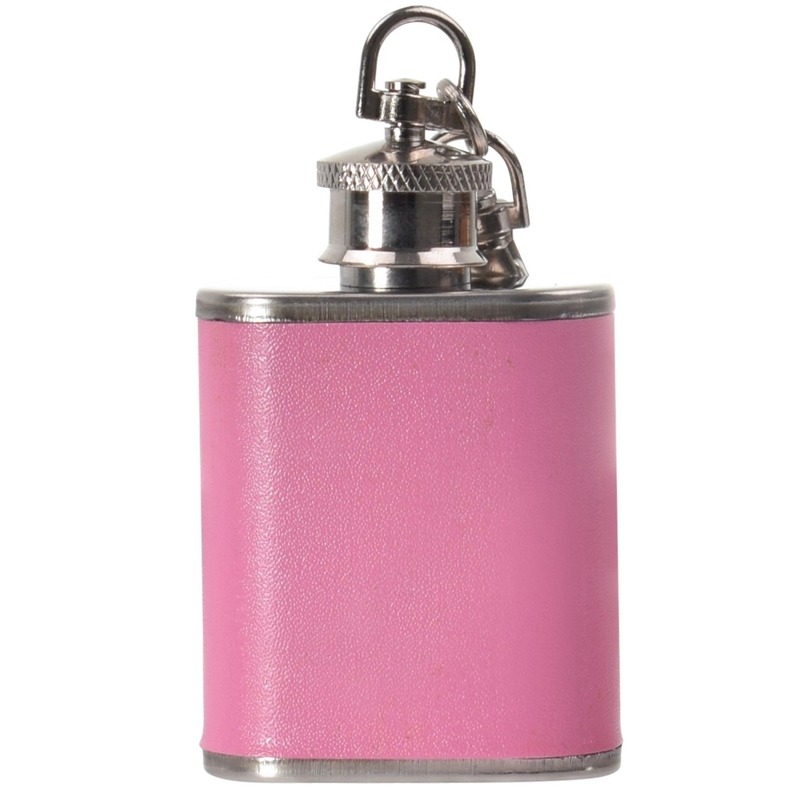 This flask is leak-proof and has a handy key ring attachment so you won’t lose it. It’s perfect for your pocket or handbag, on night out, or to give as a birthday or engagement present or wedding favour. 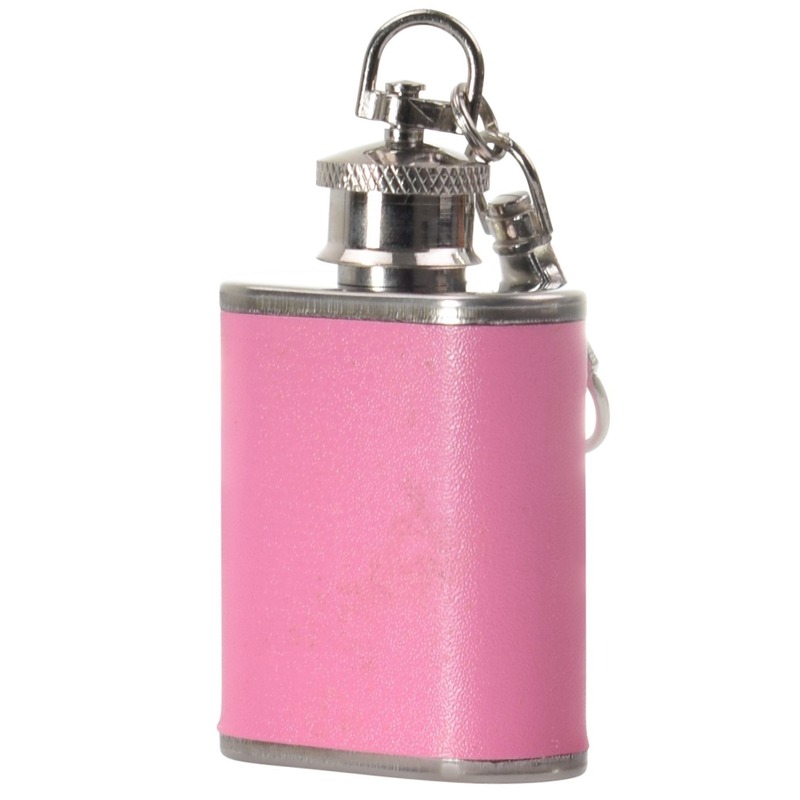 The hip flask is made of stainless steel, with Faux-Leather coloured wrap.